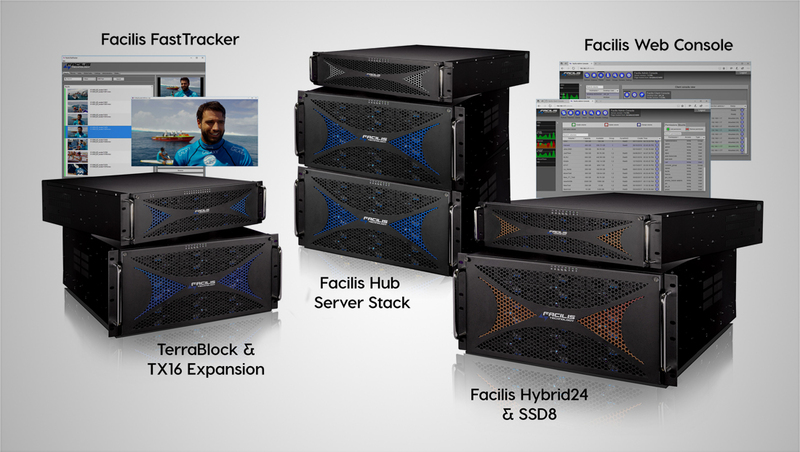 At NAB 2018, Facilis, an international supplier of cost-effective, high performance shared storage solutions for collaborative media production networks, will introduce the latest version of its award-winning multi-user shared storage system. Facilis Technology version 7.1, will be shipping for NAB 2018. Server Status tab with historical per client and per volume bandwidth tracking, as well as overall server load monitoring. Changeable volume ownership for multi-server environments enables use of faster hardware when sharing volumes from older storage enclosures. Remote upgrades avoid installing new software on each client, upgrade all clients at once from the server interface. New permissions tab streamlines access to information about user account permissions. Preferred Connection Address enables selectable routing of client connections for increased bandwidth or throttling. In addition, optimizations in the shared file system have resulted in 15-20 percent better speeds across each connection method. features enables no single point of failure in multi-server environments.